The Classic Series of antennas are designed to fit the specific needs of all power boats. 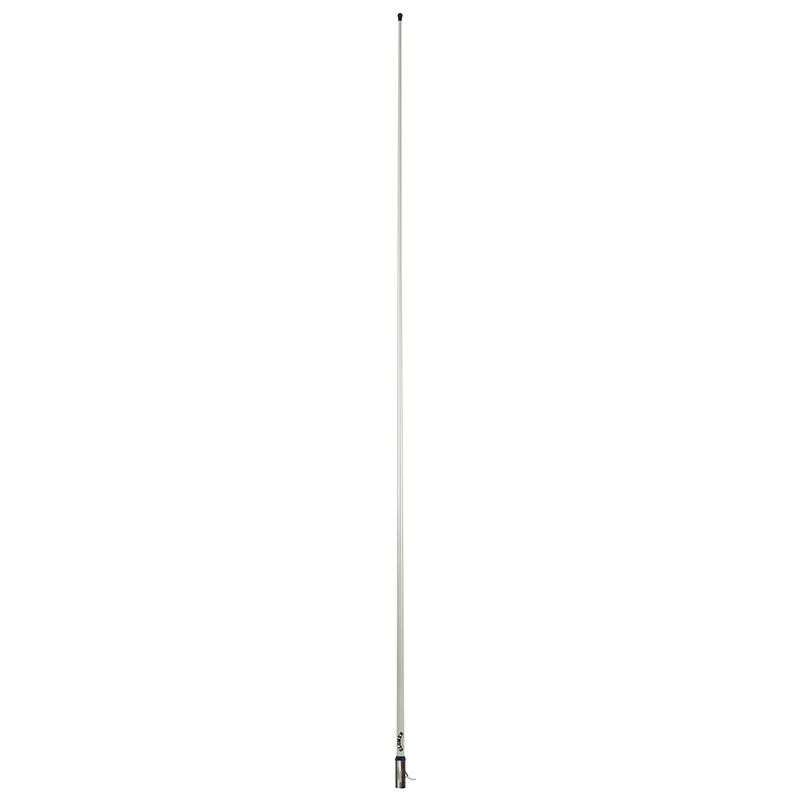 The RA1225HP is a collinear-phased antenna 8’ in height, designed to assure excellent performance in terms of quality, performance and design. Compared to traditional antennas, this antenna deeply differentiates itself due to its complex antenna elements and fiberglass rod features. The internal elements are made of spiral copper wires inserted into brass tubes which ensures long-range communication and best radio performance. The tube is made of double-thick fiberglass with a smooth polyurethane finish and resistant to UV-rays and is reinforced by a double-layer (0.05”). The RA1225HP is a vertically polarized antenna minimizing the effect of reflection on flat surfaces like the water.